Students will explore the methods of working with various metals in the construction of jewelry. Techniques of soldering, cutting, sanding, polishing, and casting will be presented. Quality craftsmanship will be encouraged in the construction of objects such as rings, bracelets, pendants, pins or other metal objects. 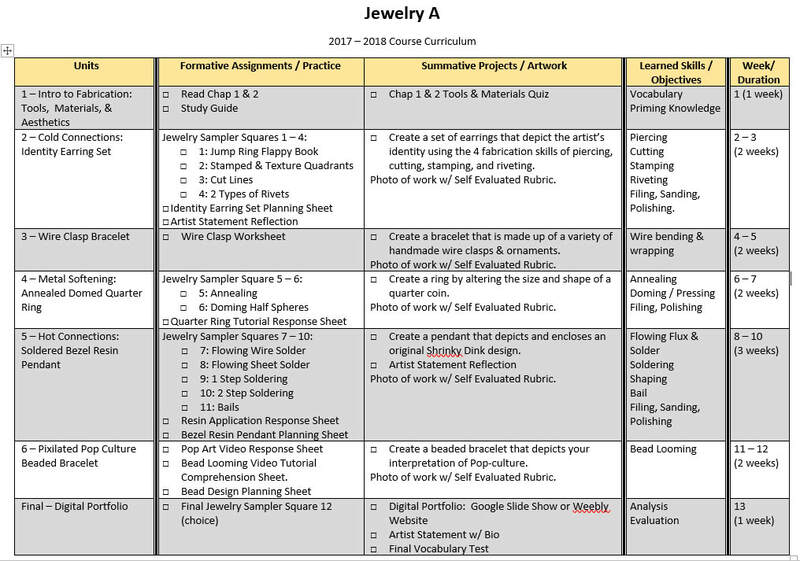 Students will begin developing skills in assessing their artwork and explore the cultural relevance and aesthetics of jewelry/ art metals within this foundation course for Jewelry / Metal Arts B,C and Studio.